Nissan has released a series of statistics the car maker says shows its sponsorship of the 2016 Rio Olympic Games has been a success, including growing its market share in Brazil. Nissan said it decided to sponsor the Olympics and Paralympics to increase awareness of its brand in Brazil and Latin America, supporting the global launch of a new vehicle in Brazil called Nissan Kicks. The firm said that during the two weeks of the Games it experienced a one percentage point increase in market share in Brazil (to 3.5 per cent). There were more than 2,000 registrations and down payments for Nissan Kicks, which it had launched at the start of the Torch Relay. 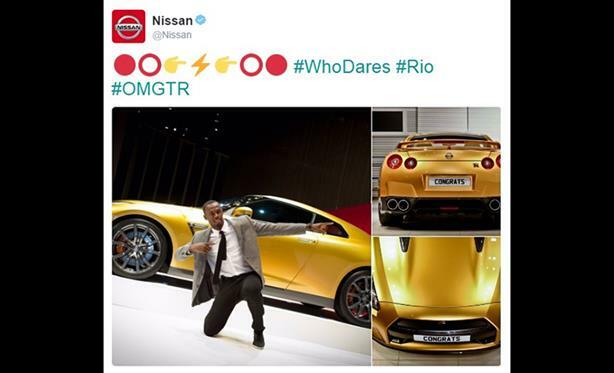 What is more, there were 2.4 billion impressions on Twitter for Nissan Olympic specific hashtags, Nissan said, and it ranked number one in impressions in the automotive category across branded social platforms during the Olympics. The car maker said there were nearly nine million views of its Bolt vs Flame campaign, launched in the lead up the Games and focused on the sprinter – who has been given the job title of 'global director of excitement' for Nissan. The company said its #QuemSeAtreve hashtag (#WhoDares in English) was the third-best performing brand hashtag, behind only two of Coca-Cola’s and ahead of all other global sponsors. Nissan’s Olympic initiatives generated more than 4,000 articles globally, the firm continued, leading to more than 15 billion media impressions. 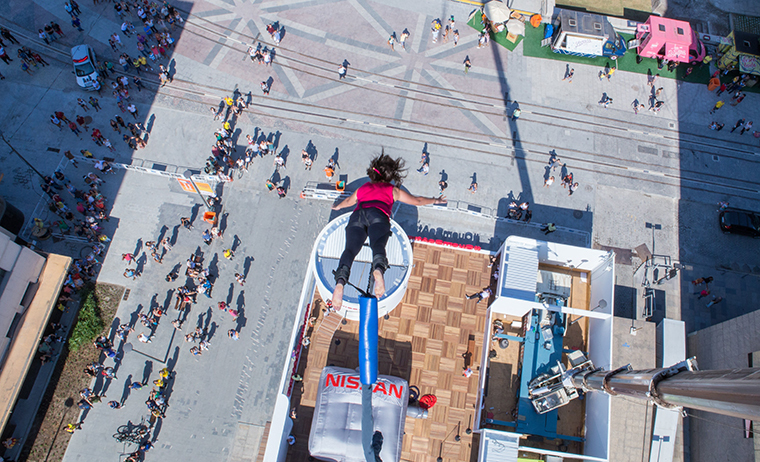 The car company’s other activities included: rebranding a hotel on Copacabana Beach as the Nissan Kicks Hotel, which hosted parties and press conferences; providing 4,200 vehicles for the official 'Olympic Fleet'; and hosting several Olympic Live Sites, including a 40-metre bungee jump used by more than 1,000 people. "Our achievement in raising awareness for Nissan in Brazil and driving sales of Kicks validates our decision to sponsor the Rio Games, and will provide a lasting effect on the marketplace," said François Dossa, president of Nissan Brazil. "We are thrilled with the impact our sponsorship has had throughout Latin America and on fans around the globe. This has been a big win for Nissan and we are excited to continue to build on this momentum in the region." Nissan released its statistics via a press release on Saturday, the penultimate day of the Games, which ended with Sunday's closing ceremony. In the UK, Nissan created a tongue in cheek campaign, working with a number of Team GB athletes.